Rain or sunshine, hot or cold, on the sandy beach or bone-dry field, we play all the time. Interested? Come on by! We are always happy to see new faces. Ultimate at Mensa am Schießwall oder at Strandbad Eldena. 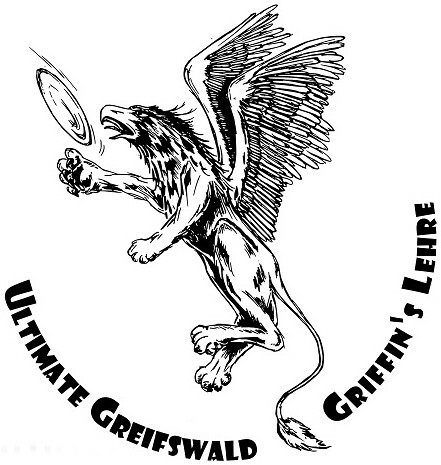 Griffin’s Lehre, and Ultimate in Greifswald in general, began in 2007. At that time the first course, led by Damaris Kroecher, Lori Shelmerdine, and Steffi Braun, was offered through University sports. Like many other German teams, the majority of the team are generally students. Starting in April 2008 Ali Seibke helped Steffi run the team. The team progressed significantly under their leadership; we became a part of our todays club HSG University Greifswald, went to our first tournaments in Hannover and Braunschweig, and designed team jerseys and discs. In 2010 we went to our first international tournaments in Latvia and Denmark. After the Danish tourney Kong Volmer Steffi left the team. Ali led the team until his departure in 2012, when #2 Jens Spiegelberg took the position. In 2012 we organized our first tournament, “Alles für die Cuts”. Our next tournament in 2014, “Kleine SandGreiflichkeiten”, was our first and very successful beach tournament in Greifswald. 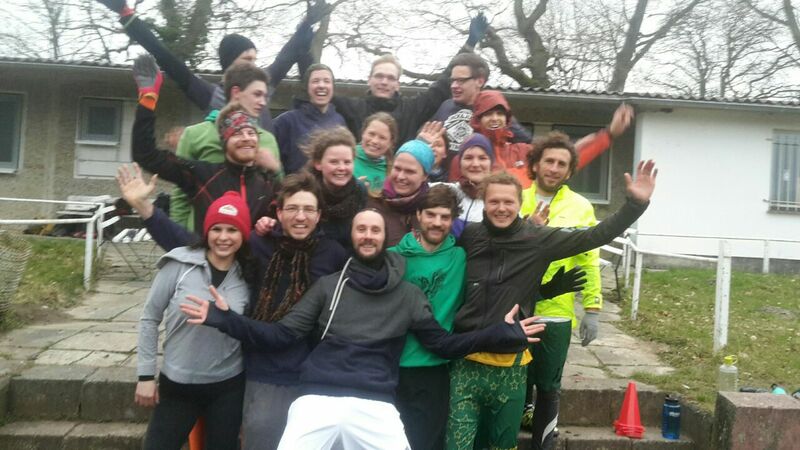 We are especially proud of winning the Wild Wedding tournament in Berlin 2011, as well as Spirit winners like in Magdeburg, Hamburg, and Lüneburg. As well as having fun, a foundation of our practices is improving our athletic performance. Our participation in and training for tournaments across Germany is significant. Each season we compete in around 5 tournaments; recently we have competed in Berlin, Kiel, Jena, Halle and Hamburg. Current practice times can be found below. Our goal for the near future is not only the further development of Ultimate in Germany, but also the establishment of a women team and participation in more official tournaments. To achieve these goals, we would like to introduce more people to our sport and are always happy when new people come by our practices to experience Ultimate first-hand. Player profiles for the current team can be found here.